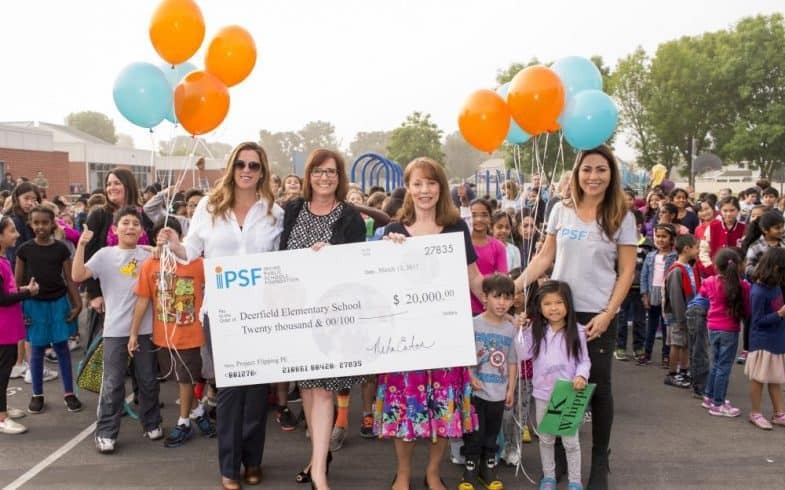 IPSF promotes and recognizes innovative teaching and counseling projects within IUSD through the Innovative Grants Program. These grants help to fund innovative approaches, which bring deeper meaning to curriculum and improve the educational experiences of students. Grants are funded through a combination of support from corporate partners and parent support through the Parents Appreciating Teachers and Staff program. 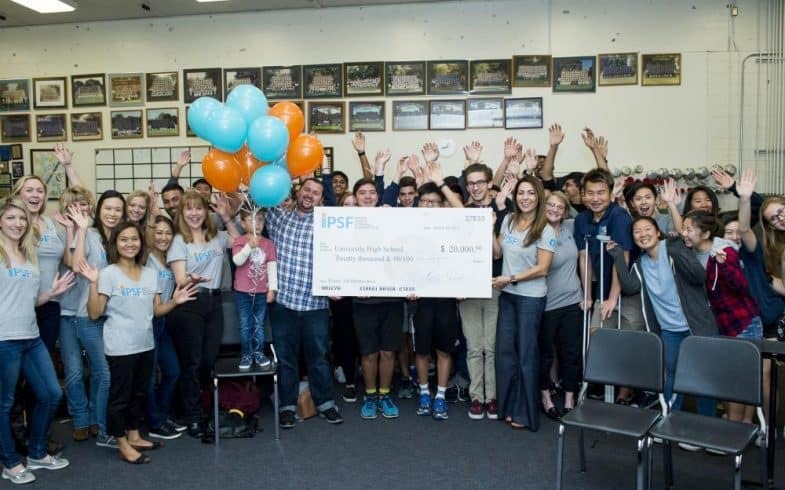 Since 1996, IPSF has awarded over $1.5 million to teachers and counselors, benefitting over 100,000 students since the program’s inception! Funding ranges from $100 to $20,000 for projects that support instruction in schools across the district. Applicants may apply for funding from three different categories to support innovation in the classrooms and school-wide counseling initiatives. Applicants may apply for funding from three different categories. Teaching Grants support innovation in the classroom, while the Counseling Grants provides funding for innovative school-wide counseling initiatives. Mega Grants offers educators a higher amount of funding to implement larger projects. Individual schools may apply for all three grant opportunities in one school year. Final reports for 2018 recipients due Friday, March 29, 2019. The submission period for 2019 applications is now closed. Deadline to submit was December 3, 2018. Can my school apply to all three grant opportunities? Absolutely! The review process for each grant type is conducted independently. Your school is welcome to submit as many grant requests as you desire, but per school funding limits apply. Schools are limited to one mega grant award per school year. What are the funding limits? What are the funding priorities for each grant? Is there a minimum request for funding? Not at all. We encourage applicants to submit their proposals no matter how big or small their project. Am I allowed to use funds to pay for teacher time? Only funding from mega grants may be used to compensate for time put towards the proposed project (i.e. training). Funds may not solely be applied to teacher compensation. I previously received a grant award but would like to apply for additional funding to continue my project. Can I do that? Yes! However, in order to encourage new projects, we fund projects for a maximum of three years. My project costs exceed the funding limits. Should I still apply? While the grants do have funding limits, we encourage applicants to still apply. Please be sure to explain how you will secure the rest of your project funding in your proposal. The review committee is comprised of individuals from the community, IUSD, and IPSF. Members of the committee review applications through a blind read and score each application based on an established set of criteria. Once scores are compiled and averaged, the committee will meet to determine awards. When will I be notified whether I received an award or not? Applicants will be notified mid-February 2019. Funds will be available via your school’s gift account after the awards reception. Are schools outside of Irvine Unified School District (IUSD) eligible for funding? Only schools within IUSD are eligible for funding. When and where is the awards reception? The awards reception will be held on Monday, February 25, 2019 from 4:30 p.m.-5:30 p.m. at TAPS Fish House & Brewery.